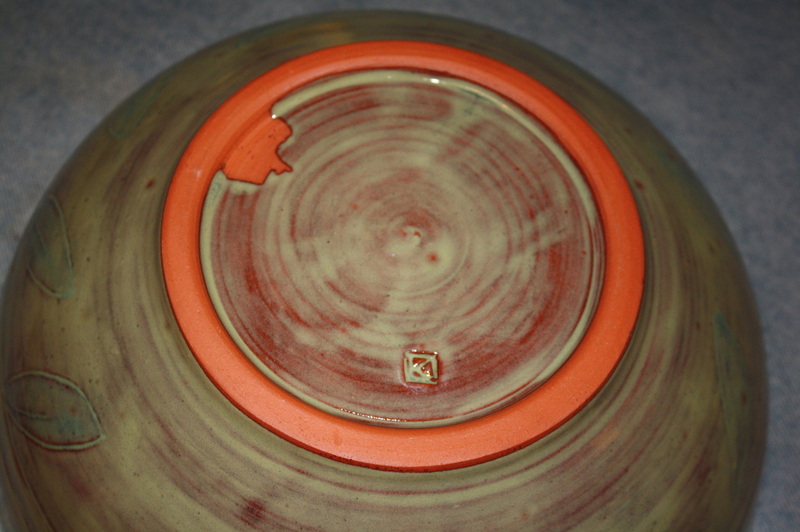 Bowl is hand-thrown on the potter's wheel using red clay. 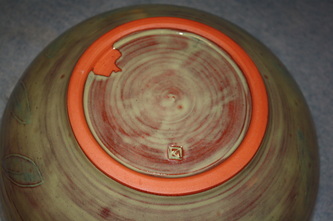 The leaves and lines are carved into the clay. 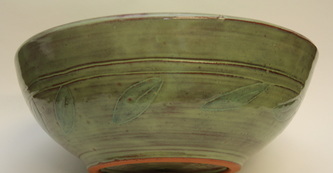 It is approximately 11 inches across and 4 inches tall. 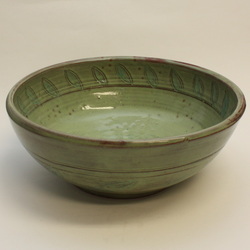 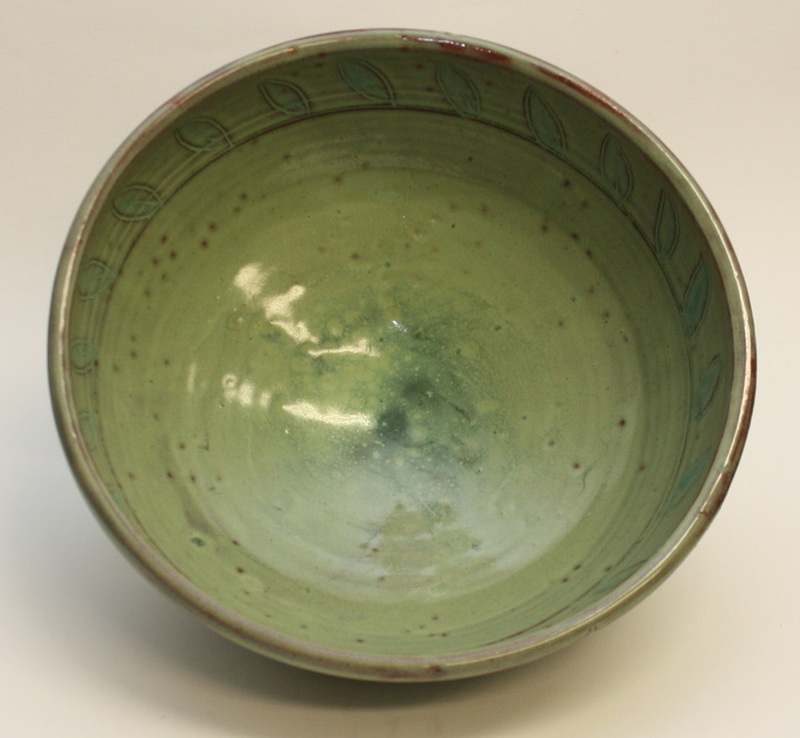 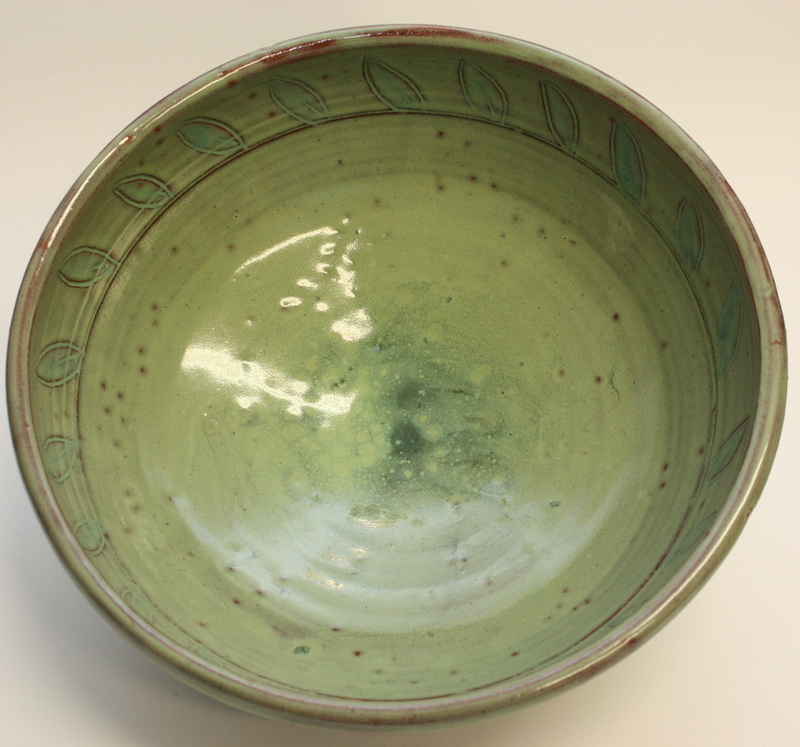 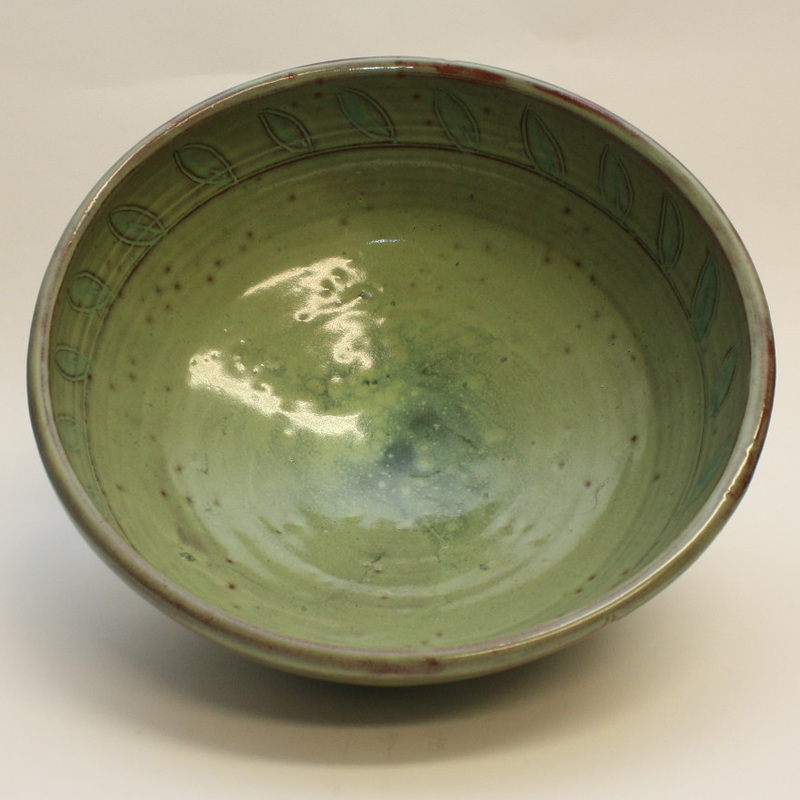 The leaves have a slight turquoise coloration to set them off from the overall Moss Green glaze color. The foot ring is always waxed so no glaze will stick to it and you can see a small area on the bottom where the wax splattered a bit and did not allow any glaze. 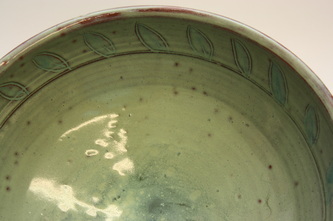 You can also see my personalized potter's mark - a K.